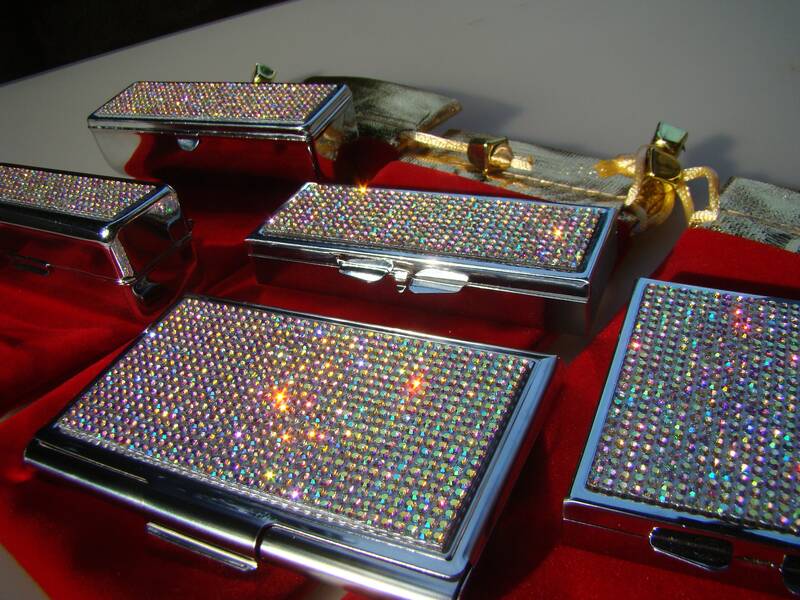 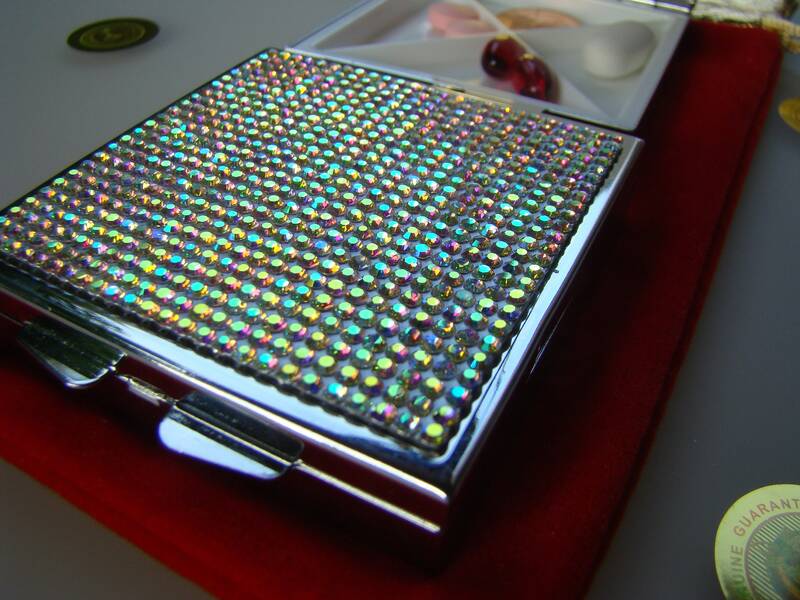 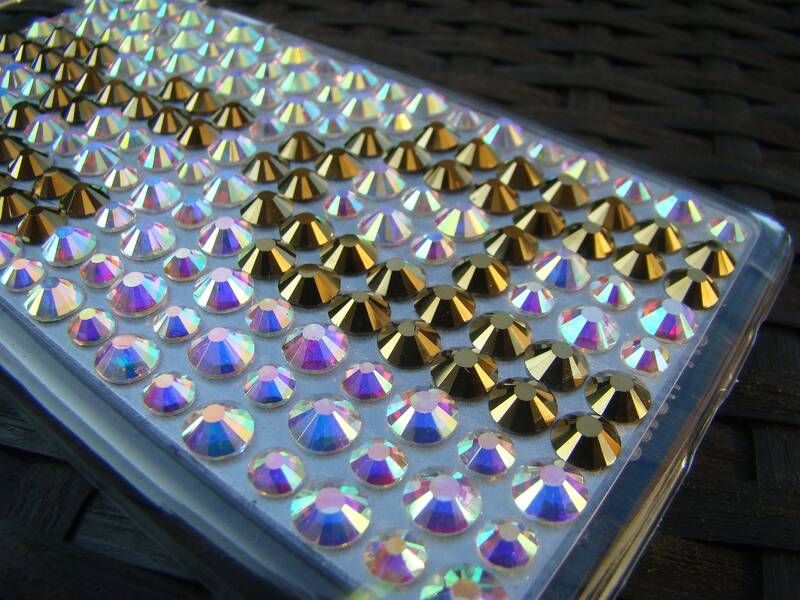 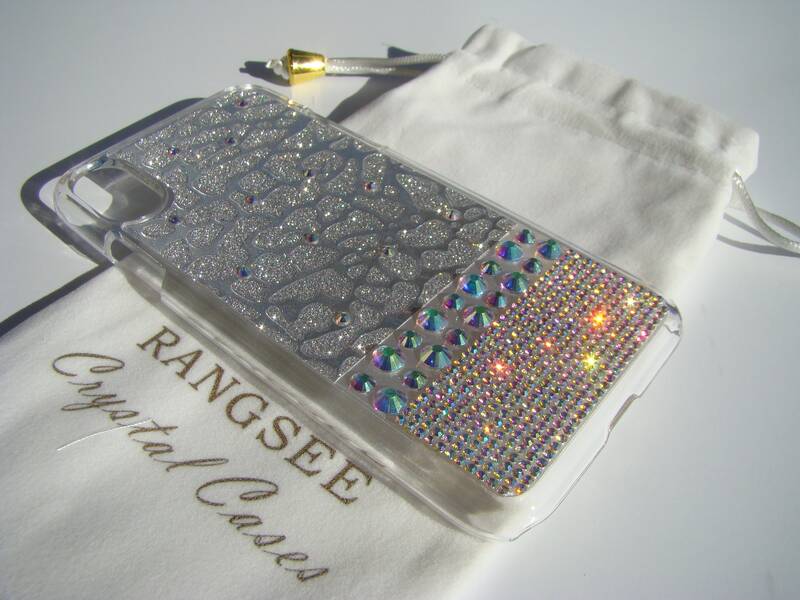 1 pcs Pill Case square 4 slots , Pill Container, Pill Box with Crystal AB Rhinestone Crystals, Red Velvet bag incluede Genuine Rangess Crystal Cases. 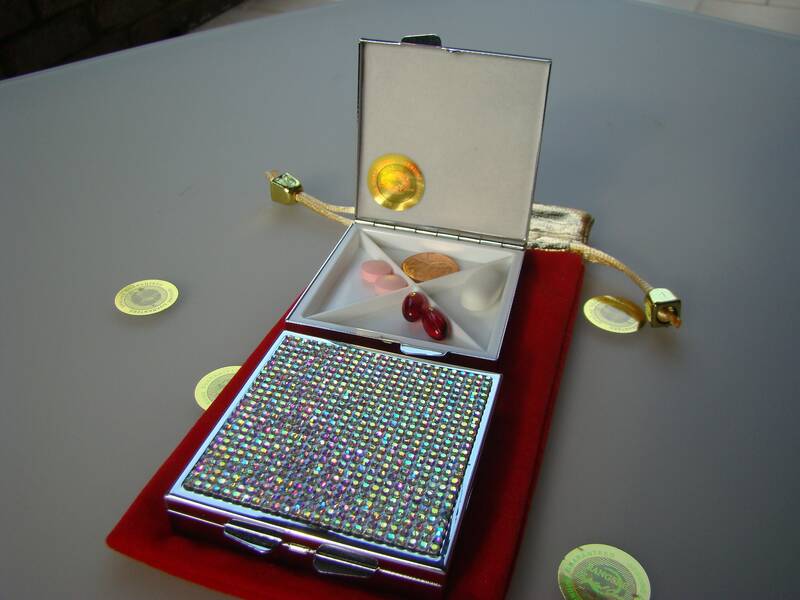 Out side dimensions are 60 x 60 x 12 mm. 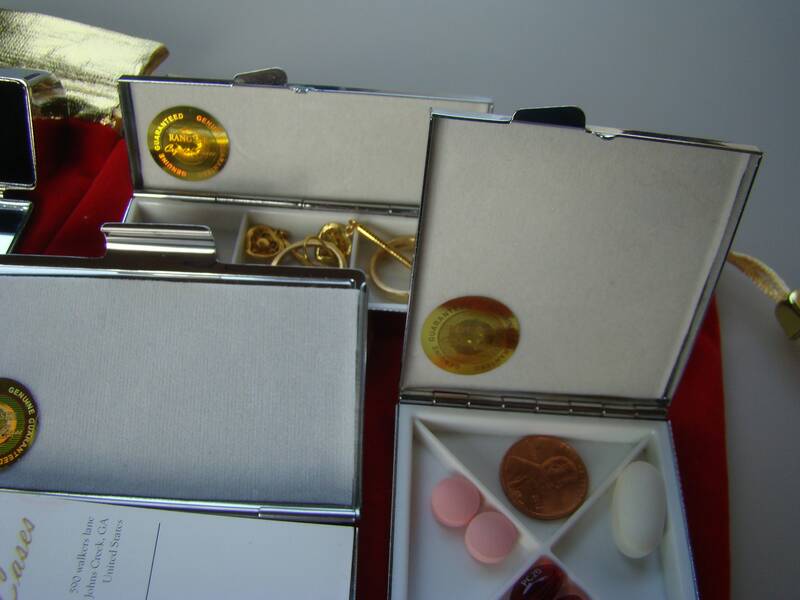 NOTE: This listing are for one (1) Pill case.